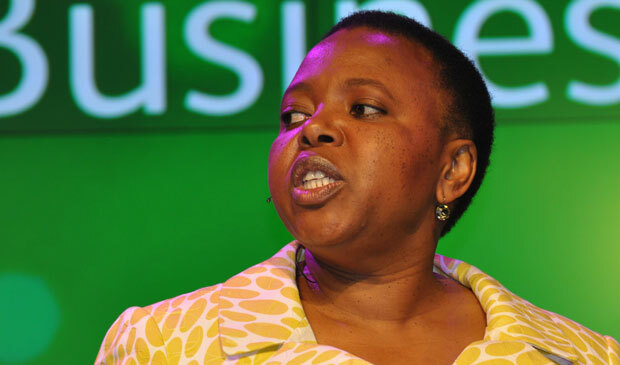 The resignation on Monday of Nombulelo Moholi has been met with dismay by industry analysts, who have praised the outgoing Telkom group CEO while at the same time expressing alarm and cautioning that government must announce its intentions for the company sooner rather than later. Telkom announced on Monday that Moholi had tendered her resignation and that she had offered to work out a six-month notice period as required in her employment contract. No reasons were given for her decision to leave, though it’s understood that she did not see eye to eye with communications minister Dina Pule. The financially troubled fixed-line operator is still waiting for a decision by cabinet about its strategic future. Its share price has fallen by 40% this year on poor financial performance and concerns about government’s plans for the company, which it sees as a vehicle for rolling out broadband access in underserviced parts of the country. Moholi’s resignation comes less than two weeks after Pule intervened dramatically at Telkom’s annual general meeting by voting against the election or reelection of four nonexecutive directors and against two new share incentive schemes for management. Frost & Sullivan research analyst Gladys Mujuru says government interference has long plagued Telkom and this continues to hamper Telkom’s ability to operate effectively. BMI-TechKnowledge MD Denis Smit says he is “saddened” by Moholi’s resignation because, in his view, she is a “highly competent businessperson who hasn’t had enough time to fulfil her mandate”. Some have suggested that Telkom be divided into wholesale and retail divisions and Smit says he shares this view. “It should be split, conceptually, between wholesale and retail. Once cabinet has decided the company’s strategic future it can appoint a board and CEO to execute on that decision,” he says. “Minority shareholders of Telkom, and the company’s staff, need clarity about its strategic future,” he adds. Ongoing instability and uncertainty surrounding the company does little to inspire confidence in stakeholders or employees. Smit believes that Lazarus Zim, who resigned as chairman of Telkom’s board at the company’s annual general meeting two weeks ago, “failed to manage stakeholders’ expectations in a way that would secure the future of the company. Democratic Alliance MP and shadow communications minister Marian Shinn describes Moholi’s resignation as a “tragedy for Telkom”. “The fact that she has been driven out because of her exasperation at the way government is managing its shareholding in the company is absolutely tragic,” she adds. The move is an “ominious sign for the future of the company and the industry, which is being hampered by government ineptitude and meddling”. “Moholi has been treated very badly by minister Pule, who didn’t hint during the KT dealings that government wasn’t a willing seller,” Shinn says. At the end of May, cabinet decided it would not support the sale of 20% of Telkom’s equity to Korea’s KT Corp, despite the two parties being introduced by former communications minister Roy Padayachie.